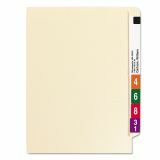 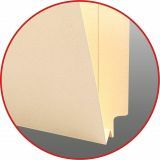 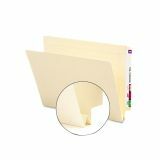 Smead Heavyweight Manila Folders, 1 1/2" Expansion, Straight End Tab, Letter, 50/Box - End-tab folder offers strength, durability and efficiency. 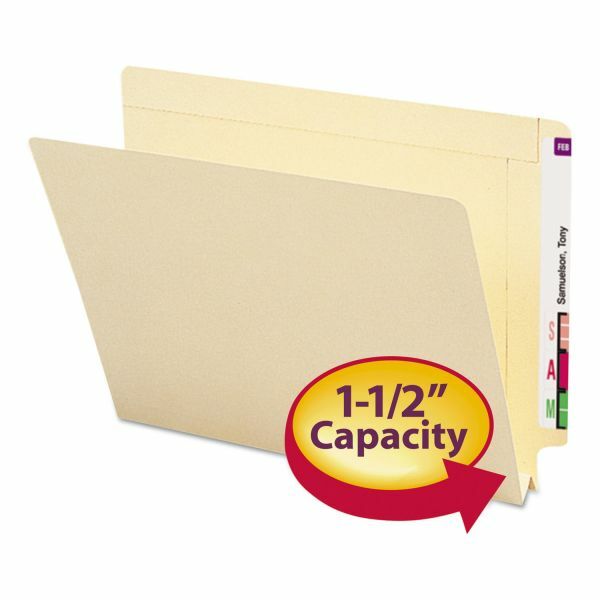 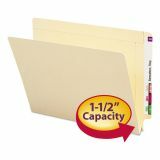 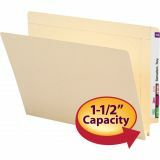 Design with W" fold expands folder to hold up to 1-1/2" of paperwork. 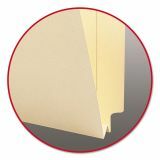 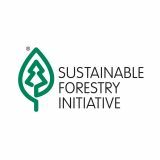 Two-ply tabs are straight-cut, interlocking, embossed for label placement and 7/8" wide. 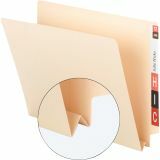 Folder features heavyweight 14 point manila stock, reinforced top edge on back panel, and rounded top corners in front and back.